The National Weather Service in Honolulu has issued a wind advisory for the summits of Haleakala, Mauna Loa and Mauna Kea above 8,000 until 6 p.m. Monday (April 30). Winds will be coming from the East at 25-35 mph with gusts up to 50 mph. Motorists are advised to use caution as windy conditions can make driving difficult especially when driving high profile vehicles. 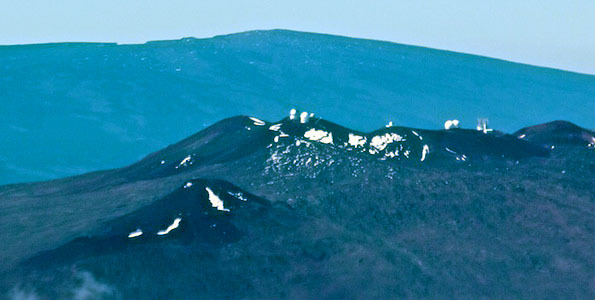 As of 7 a.m. Monday (April 30) the Mauna Kea access road is closed due to ice and snow on roadways. For updates on Mauna Kea road conditions go here. A small craft advisory is also in effect for the Kaiwi Channel, Maalaea Bay, Pailolo Channel, Alenuihaha Channel, Big Island Leeward and Southeast waters until 6 p.m. Monday. The small craft advisory conditions will probably be extended into Wednesday due to gusty trade winds. As of 9:26 a.m. The Mauna Kea Access Road has re-opened to the public.